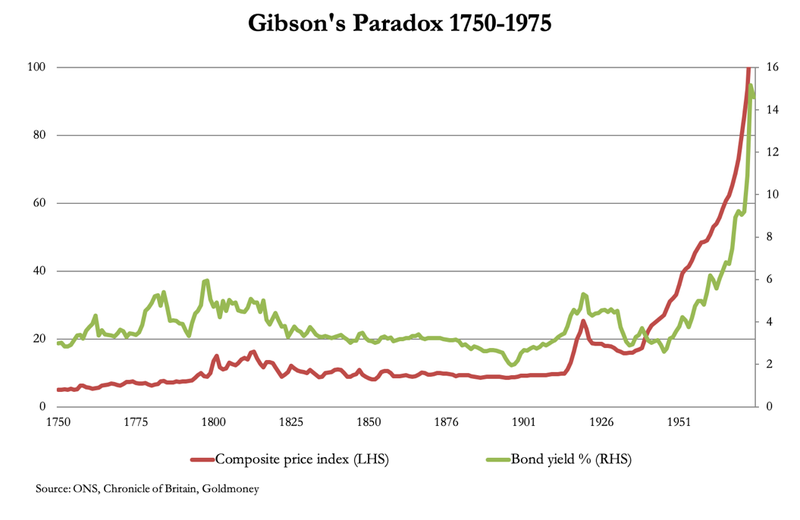 Economists dismissed the contradiction of Gibson’s paradox because it conflicted with their set view, that interest rates regulate demand for money and therefore prices. Instead, it is ignored, but the evidence is clear. 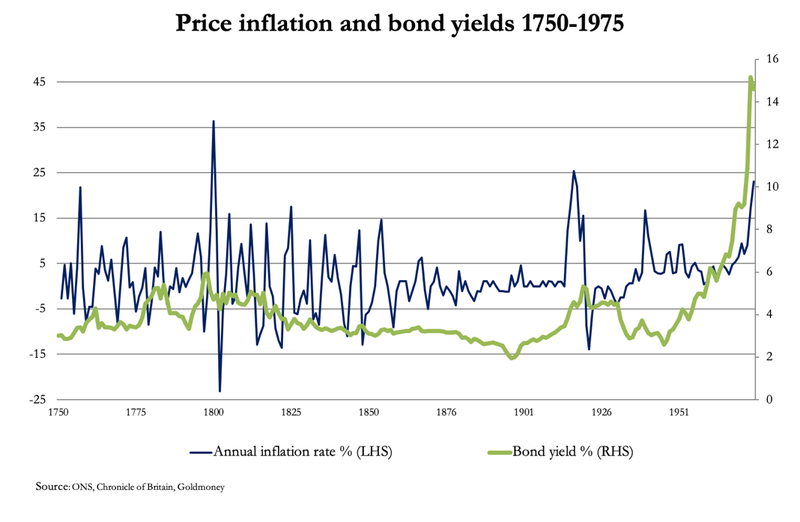 Historically, interest rates have tracked the general price level, not the annual inflation rate. 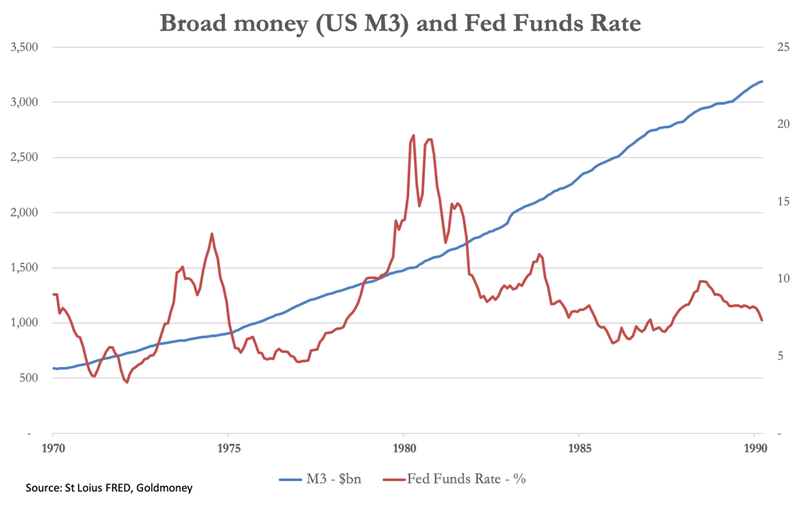 As a means of managing monetary policy, interest rates and therefore borrowing costs are ineffective, as confirmed in our third chart below. Banks sense the mood-change in their customers and the associated increase in lending risk. They restrict their credit lines and working capital facilities to those they deem vulnerable, usually the medium and smaller enterprises that make up Pareto’s 80% of the economy. The economy then runs into a brick wall with a rapidity that surprises everyone. Labour shortages disappear, followed by employees being laid off. An unstoppable process of correcting earlier malinvestments gathers pace.